Google has teased a brand new media experience for Android Auto, both on the phone and in the car. The tech giant has also teased an optimised version of the Google Play Store for the new in-car automotive interface. 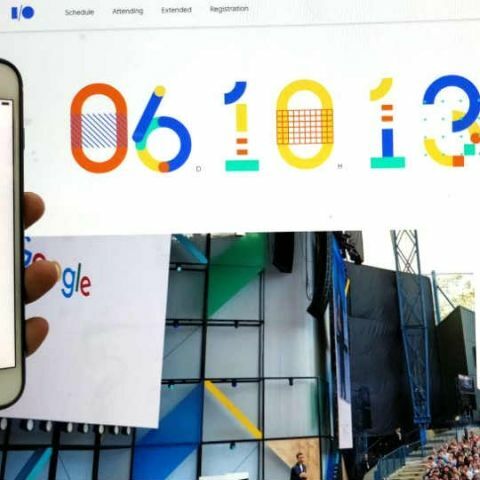 Google I/O, the tech giant’s annual developer conference, is all set to begin on May 8 at the company’s Mountain View headquarters. Ahead of the launch, Google is teasing some of the experiences and sessions that will take place during the three-day conference. One of the Sandbox experiences teased by Google includes an Android Auto deep dive, which, according to details mentioned in the Google I/O 2018 iOS app, will include a brand new “media experience for Android Auto”, both on the in-car screen and the Android Auto app. The description of the Sandbox, which is essentially an experience zones at I/O, also reads that the new Android Auto interface in cars and on the mobile app will make it easier and faster to surface content to users. Google can be expected to make some major design changes to the Android Auto interface and experience within the car and the company has also teased a new in-car concept “with the latest version of Android running as the built-in infotainment platform”. Users can also expect Google to add more of its services to the Android Auto in-car interface. Users already have access to the Google Assistant and Google Maps on Android Auto, but have never had the ability to download new apps from Play Store. This might change at I/O as Google has also teased an optimised version of Play Store for the new automotice interface. Since the Play Store will be optimised for in-car downloading of apps, it might not be a full-fledged app store found on Android phones. Instead, the Play Store accessible in cars may give Android Auto users the ability to download apps designed to enhance the in-car infotainment experience. Google also recently updated Android Auto to display a user's entire comtacts list. The feature was not available earlier due to safety reasons, but Google changed that by adding a few restrictions and making contacts visible on the in-car interface. To view the contacts list on Android Auto, users can simply hit the hamburger menu on the top left corner and select ‘Contacts’. Last month, Android Auto was also updated to include a ‘Swipe up to Unlock’ function, allowing users to access their smartphones while driving.